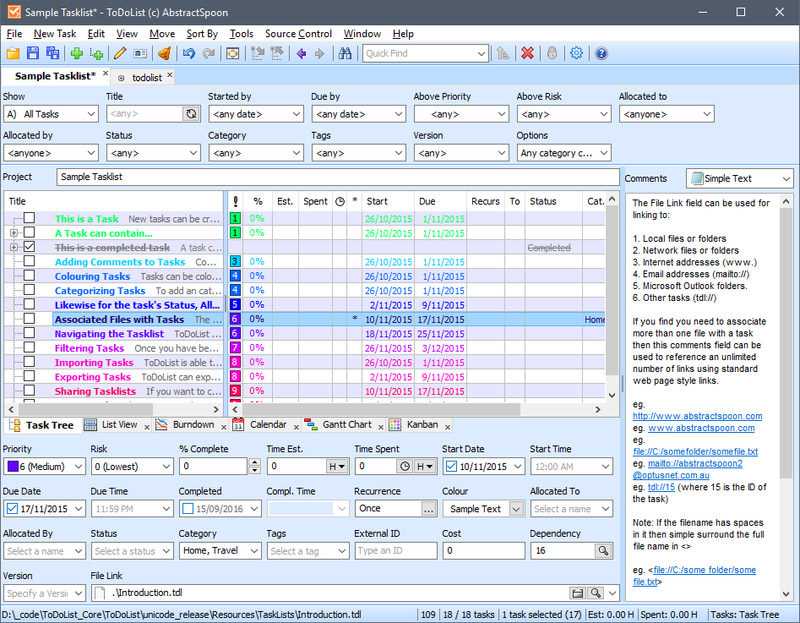 ToDoList is a hierarchical task manager that allows you to repeatedly sub-divide your tasks into more manageable pieces, which makes it ideal for IT-related projects as well as more general activities. Each task can be given a wide variety of attributes including priority, risk, color, category and many more. Viewable in tree, list or calendar format and includes native XML support for custom reporting. 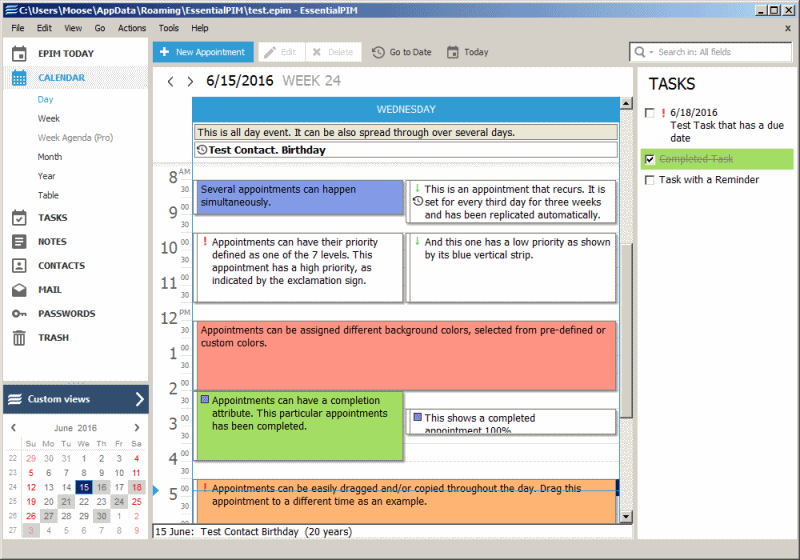 Created lists can be exported to a variety of formats including HTML, ICS (calendar), speadsheet and more. Supports remote todolists and encryption for security. Solved: the download on the portable freeware site does not include a file "todolist.exe.manifest" that is required to run on XP. If you have an existing earlier version of todolist, it will have a file "todolist.exe.xp.manifest". Dan the developer advises to rename that to "todolist.exe.manifest". Seems to work. Thanks for that info. I was wondering why it wasn't working with XP. Renaming todolist.exe.xp.manifest to todolist.exe.manifest worked. Can't find what you are looking for? This list shows entries with Productivity - Project Managers as a supplementary function. You can view more entries with Productivity - Project Managers as a primary function.